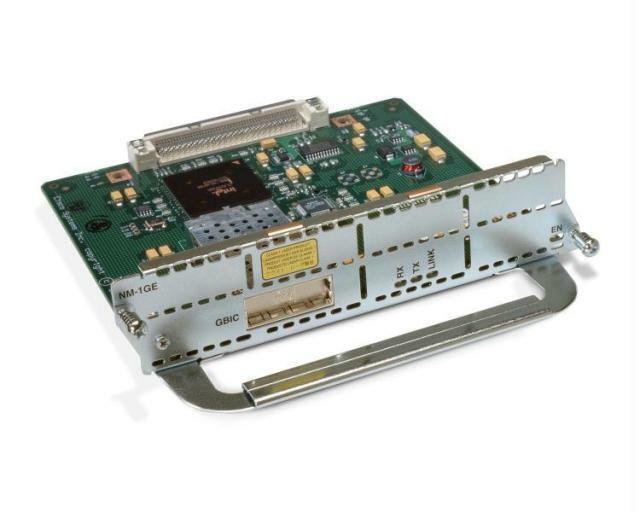 The Cisco NM-1GE Gigabit Ethernet Network Module brings Gigabit Ethernet to the Cisco 2691, Cisco 3660, Cisco 3725, Cisco 3745, Cisco 3825, and Cisco 3845. The NM-1GEÂ network module has one gigabit interface converter (GBIC) slot to carry any standard copper or optical Cisco GBIC. The Cisco Gigabit Ethernet Network Module enables branch offices to cost-effectively utilize high-speed uplinks in a variety of environments. The enhanced performance allows customers to enable new applications and services and provides greater capacity for existing inter-VLAN routing and bridging capabilities.